"And once you've wound up a clock, there's something frightful in the way it keeps on going at its own relentless pace. Its hands move steadily round the dial as if they had a mind of their own. Tick, tock, tick, tock!" A Very Happy 2018 to all. Oh and the book: Deliciously creepy. First Line: In the old days, when this story took place, time used to run by clockwork. Thank you so much, Elgin. And a very happy 2018 to you too. Happy New Year, Neer! 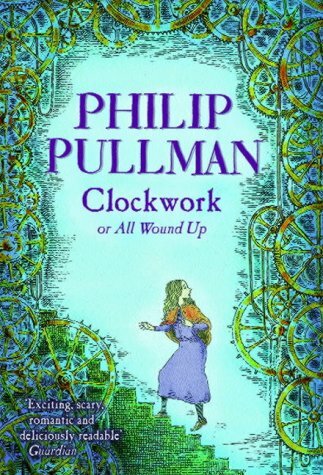 I'm familiar with Philip Pullman and his work though I have never read any. Hope the year is going well, Prashant. This was the first time I read Pullman though I too had heard of him. Happy New Year, Neeru! I wish you all the best for 2018. Thank you Margot. And same to you.